Evolution, Craig Morrison’s Ph.D thesis [click on title to go to www.lulu.com to get a download copy for $5 or a print copy for $25.90]. split the revival community into two camps : acoustic or electric. Angeles, others were the founders of psychedelia music in San Francisco. the Canadian folk duo Ian and Sylvia, who were handled by Bob Dylan’s manager. went electric and the little skiffle band we had just went electric too." participated in the folk revival as emulators and utilizers. the Fish, he had spent years as part of New York’s folk scene. "I fell in love with folk music. I thought it was the best stuff. guitar for six hours. I’d do 15 minutes of homework and go to sleep. intensely on a daily basis. by them. My background was that my grandparents were anarchists. term for people like Arlo Guthrie and Country Joe whose parents were communists. and Woody Guthrie, and “On Top of Old Smokey” and other folk songs. were in the band at this point, and Grace Slick made a guest appearance. who joined the Jefferson Airplane in 1970.
at a later date, is documented in Robert Cantwell’s When We Were Good. out to be and considered themselves as live entertainers and not folk singers. Kingston, Jamaica (a country which they to this day have never visited). 1958. That occurance marks the start of the folk revival under discussion. 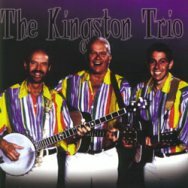 The Kingston Trio is still touring in 2000, about 30 weeks a year. Trio’s enthusiastic presentation or as a primer of the act itself. My Mind” (1930). The review copy was in temporary packing. blues piano that the playing and the recording’s rich sonority merits. Fell This Morning (1960) by Paul Oliver-inspiring interest in black traditions. Songs by Fred McDowell and “Funny Paper” Smith also come from the blues. with the same touch as the roots material. Kaukonen is joined on all tracks by two cronies. sound in the places where bass, piano, and organ are all present at once. 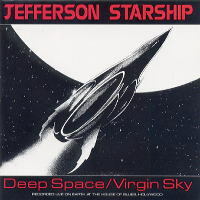 and vocals are reliable but exhibit less character than Kaukonen’s. and his mates’ approach to earthy music is distinguished and endearing. than in the studio-as-parlour session captured on the CD. nine of them are over eight minutes long, and two are over 20 minutes. circles by Traffic, whose album cover states that it dates back to 1465.
these albums a festival of eclectic sources, and well worth seeking out. band. Their name and Wild West image connected them to a mythic America. its quintessential American-ness, as a reaction against the British Invasion. Lipscomb and Blind Willie McTell, and four songs by Robert Johnson. delicate passages he struggles a little with the borrowed guitar. Four of his evocative original instrumental pieces are featured. latter written by John Phillips. Another early and important San Francisco band was the Great Society. “In Another Dream”), where desert meets ocean. An intriguing album. Cohen of that band as the writer of the detailed liner notes. I played mostly folk music. My brother and I had a band together. music. It was fun and easy to do and we learned all the songs. Then we started getting into old-timey music like the New Lost City Ramblers. Big Brother and the Holding Company’s surviving members reunited in 1987. 1989 and 1994 at a nightclub in the bohemian North Beach area of San Francisco. role in the formation of the scene. 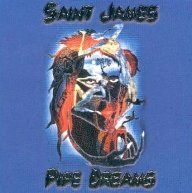 album under the name Saint James : Pipe Dreams (Big City Records, 1999). and to his band. Whether or not he plays guitar here is unclear. the Coasters’ 1955 R&B classic, written by Jerry Leiber and Mike Stoller. (“ugly’s in, and pretty’s out, total urban combat, what’s it all about”). the power of love, memory, and awe, with some looking backwards and forwards. black female vocal group from London who are featured throughout. Sage, has formed an excellent quintet that plays psychedelic country rock. voice is supported by well-crafted arrangements and masterful musicianship. in the 1960s to my immense affection for Moby Grape, are well to the fore. Grape artifacts from then to now, Peter Lewis is the other jewel. document of music making within a community. recent CDs by Gary Duncan, formerly of Quicksilver Messenger Service. acclaim, but Duncan is also a fine player with an individual style. the idiosyncratic world of Gary Duncan and his cronies. Fillmore in San Francisco and the Wetlands Preserve in New York City. expressions of the music’s folk revival roots. Label or band contacts are given where known. try an Internet search for the recording or artist to locate them. University of Illinois Press, 1993 : 35-60. - - - . When We Were Good : The Folk Revival. Cambridge, Massachusetts : Harvard University Press, 1996. 1965-1970. London : Bloomsbury Publishing, 1997. Basement Tapes. New York : Owl Books (Henry Holt and Company), 1997. University Ph.D. (Humanities) thesis, 2000. 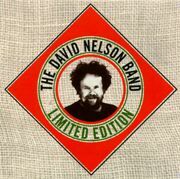 (Big Beat CD 1996) : 11. Examined. Urbana : University of Illinois Press, 1993 : 178-182.
of LSD, Rock and Roll, Free Love and High Times in the Wild West.